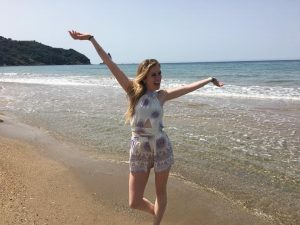 As unprepared as all may be for studying abroad the post-abroad blues may take you off-guard and be even more disconcerting than the homesickness all have felt. The silence may get stifling if you are going from a city back to the countryside, the absence of sirens saddening, the lack of people on bikes, in cars, taxis and on foot-strange. If you studied abroad in a city you may miss the hustle and bustle the most, the being apart of something when doing absolutely nothing, being apart nonetheless because you can see life unfolding in front of you. Hundreds upon hundreds of strangers, tourists and locals alike drifting through the streets often remind you that you are never alone. In order to adjust and adapt amongst any feelings of worries surrounding being unprepared it is necessary to embrace the chaos. When lost, take a deep breath, realize that you are lost in a country many only dream of visiting let alone spending months in. When surrounded by unfamiliar faces realize that it is in the human nature to want to connect and as a short-term resident take advantage of that. Enjoy the differences and acknowledge your feelings while allowing yourself to feel them constructively! 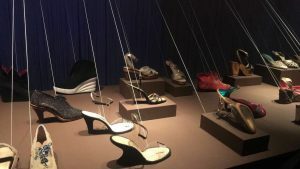 The Ferragamo museum is a must-see! The displays, like this one are fantastic! Budgeting or lack thereof, strange sounds, different languages and a variety of cultural differences there are many. Though you will have to adjust living on your own, in another country, out of all the adjustments the one after your time abroad may be the hardest. You will probably become one of those people who returns home and feels as though they are not fully home. Leaving a piece of yourself in another city, another country leaves you feeling split between two homes. Though changes are inevitable you must learn to be okay with being unprepared and accept that you can never do it all, see it all or remember it all but you will be changed by it all. Using a dishwasher, drier and car may be just of the few of the luxuries you will return to post-studying abroad but all of a sudden these amenities of American life do not seem so important anymore. After hanging clothes for 3.5 months, never sitting behind the wheel of an automobile and having no access to a dishwasher you start to realize not only how much we have that we are not thankful for but how much we have that many live comfortably without. After coming home from months away I have a sense of peace about me but the sense of relief is just not there in the way I thought it would be. The peace stems from surviving, living without my parents, navigating a new city, knowing I did it and being proud of myself for doing so. Though grateful for the opportunity, slipping back into a monotone life in comparison leaves me restless and disconcerted. No matter where you study abroad or have gone in the world there is truly no place like home but after months away you realize home is where the heart is. Like I am sure many others, this statement is true and now my heart is now in two places and that is okay with me-keep it safe until next time Europe! 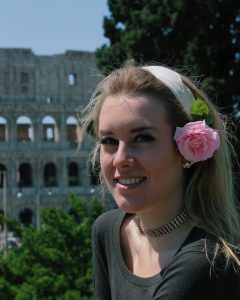 Abbey was a spring 2017 SAI Florence student from Lasell College.